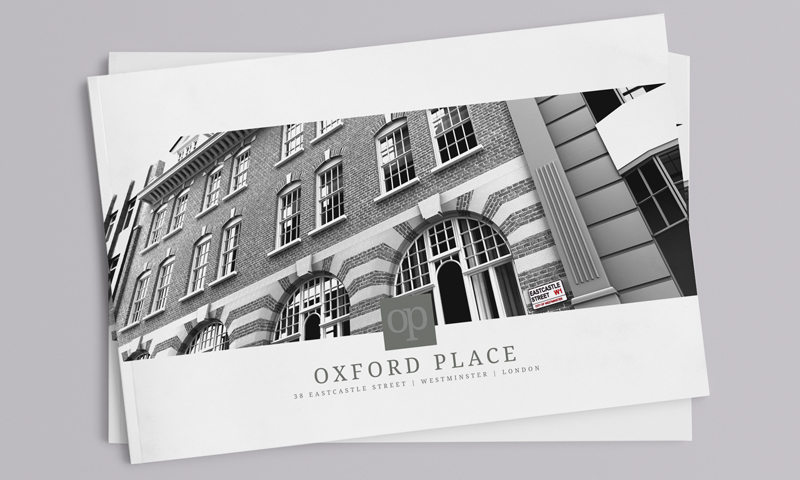 Set in the very heart of London, Oxford Place, Eastcastle Street is a prestigious development and needed a large property brochure to capture all aspects of it. 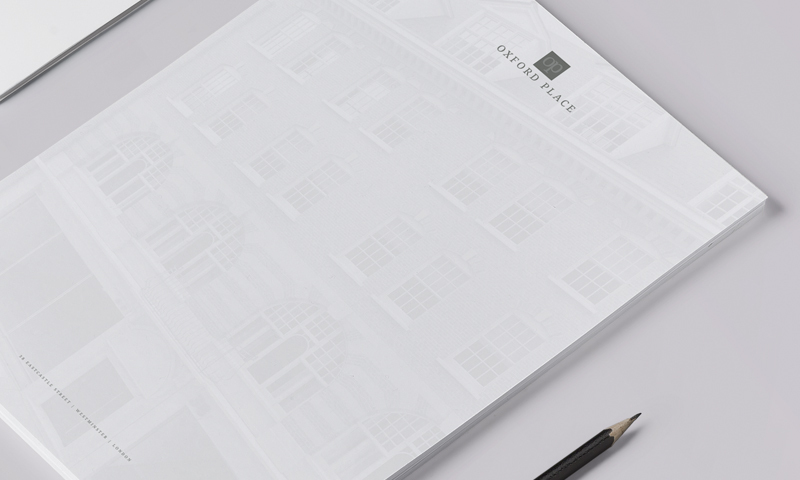 A feeling of luxury and opulence were communicated throughout the branding and brochure, with stunning photorealistic CGI images of both the exterior and interior complimenting the overall design. Fitzrovia has recently established itself as one of London’s most desirable villages, The shopping of Oxford Street, Regent Street and Bond Street, the trendsetting of Soho and the open spaces of Regent’s Park are all within a short stroll. Oxford Street has long been recognised as the busiest shopping strip in Europe, if not the entire world. We wanted to give a sense of this exciting and beguiling area in our Brochure, and the team chose aerial photography as our medium. This was really the only way to capture all that this property had to offer in its environs. The aerial photography gives a sense of the hustle and bustle, while still being somewhat detached. Like a bird soaring overhead, this approach is restrained and elegant, much like the property we were showcasing. 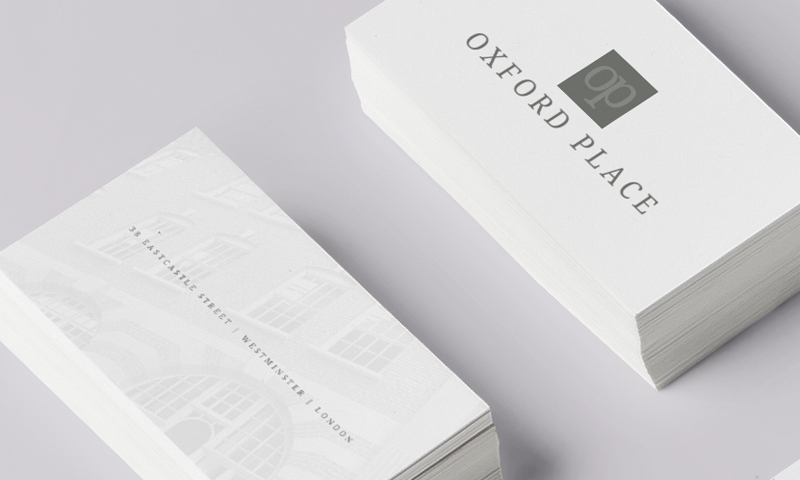 In a city like London, the feeling of private space is one of pure luxury, and we believe we communicated this in our Large Property Brochure.